One of the best things about kicking off a new year is that feeling of a fresh start. For bloggers, this is likely when you’re ripe with new ideas. You may start the year ahead of schedule, but once life settles back in, it can be difficult to conceptualize and execute an idea with even a week’s notice. A monthly action plan can help you build momentum and achieve growth, while also providing a realistic base into your timeline. Our sister blog, Beyond PR, outlined a year-long plan to appeal to new audiences with “12 Months of Content Marketing.” While it’s primarily directed toward brand marketers, many points hold value for content creators of all shapes and sizes. 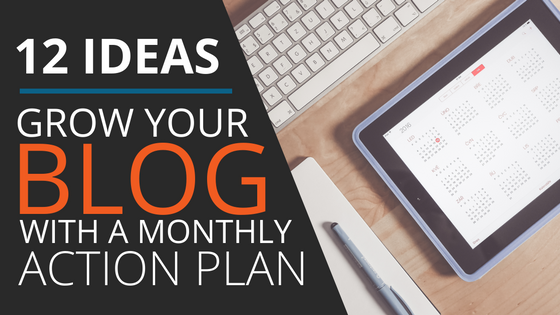 Continue reading this article on Beyond Bylines: How to Grow Your Blog With a Month-by-Month Action Plan.